Mirrie Irma Hill (née Solomon) was born in Sydney on 1st December, 1889. Born with perfect pitch, she responded to dissonance in music from the age of three and would run from the room when her aunt played Mendelssohn's Songs Without Words, crying "they go wrong in the middle!". The out-of-tune bells of a nearby church also distressed her greatly. At the age of five she began to study the piano with an aunt, and started to compose at the age of fifteen. Within four years her first major composition, Rhapsody for Piano and Full Orchestra, had been performed by the forerunner of the Sydney Symphony Orchestra. Mirrie Hill studied piano with Josef Kretschmann, and later Laurence Godfrey-Smith, who introduced her to Alfred Hill for instruction in composition. She was awarded a scholarship for composition, chamber music and the interpretation of piano music in 1916, which enabled her to attend the newly-founded Conservatorium of Music in Sydney. On completion of her studies, Mirrie Hill was appointed to the staff of the Conservatorium as Assistant Professor of Harmony in 1919. She taught many young musicians, both at the Conservatorium and as a private piano teacher, some of whom later became composers, conductors or performers with international reputations. She also contributed greatly to music education in general, and to the work of the Australian Music Examinations Board (AMEB) in particular, as a composer of educational music and as an examiner. In 1921 she married Alfred Hill, her former teacher. They were married for nearly forty years, until his death in 1960, after which Mirrie Hill established the Alfred Hill Award, an annual composition award for a student at the Conservatorium at which they had both taught. Although Mirrie Hill accepted the relegation of her own creative work to second place during her husband's lifetime, as was customary for women of her generation, she never ceased to compose. Her compositions cover a wide range of musical forms, and are for many media, including works for orchestra, choral pieces, chamber music, film scores, songs and solo instrumental works. 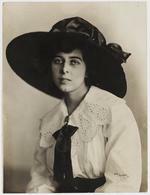 She also wrote pieces based on traditional Jewish melodies and on Aboriginal themes collected by the anthropologist C.P. Mountford. Mirrie Hill believed that the string quartet was the most stringent test of a composer's abilities, and correspondingly did not make any attempt to write for this ensemble before the age of eighty-seven. She maintained an extremely disciplined attitude towards composition throughout her life and always insisted that writing music did not come easily to her. To mark the occasions of Mirrie Hill's eighty-fifth and ninetieth birthdays (these were celebrated in 1977 and 1982 as it has only recently been confirmed that her correct year of birth was in fact 1889), special programmes devoted to the composer and her work were broadcast nationally on radio and television. A documentary film about her was also produced for the Australia Council Archives. In 1980 she was awarded the OBE for services to music. Mirrie Hill died on the 1st May, 1986, at the age of ninety-six.